Seventh of Eleven has been released! Seventh of Eleven: An Illustrated Memoir by Dorothy Sabean is now available in the Wordpool Press Bookstore and on Amazon.com. Pre-ordered copies have been shipped and are on their way! If you have not had a chance to see our first book, a sample is available through HERE. Dorothy Sabean is a wonderfully talented artist, and she has been such a pleasure to work with. We feel very lucky to have her as our first author. If you like her work, you can like Dorothy Sabean on Facebook, as well as like Seventh of Eleven on Facebook, to stay up to date on her current art exhibits. She might be coming to a town near you. The Wordpool Press CharacterMark Bookmark Pack is on Etsy! The Wordpool Press Bookmark Pack is now available in the Wordpool Press Bookstore and Etsy. Grab a pack before they run out! 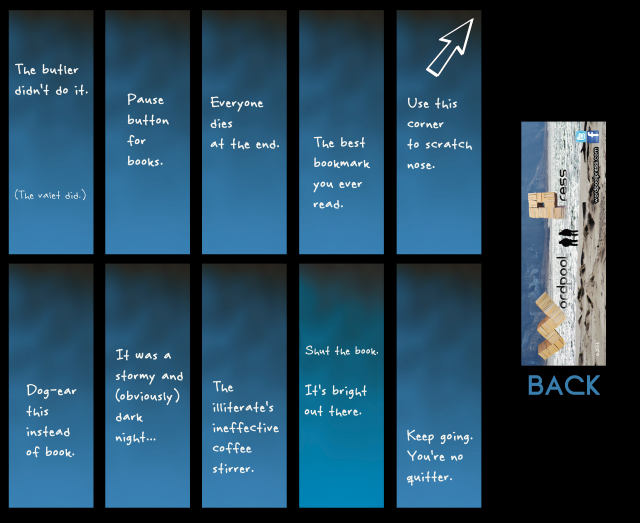 The Wordpool Press Bookmark Pack is here! 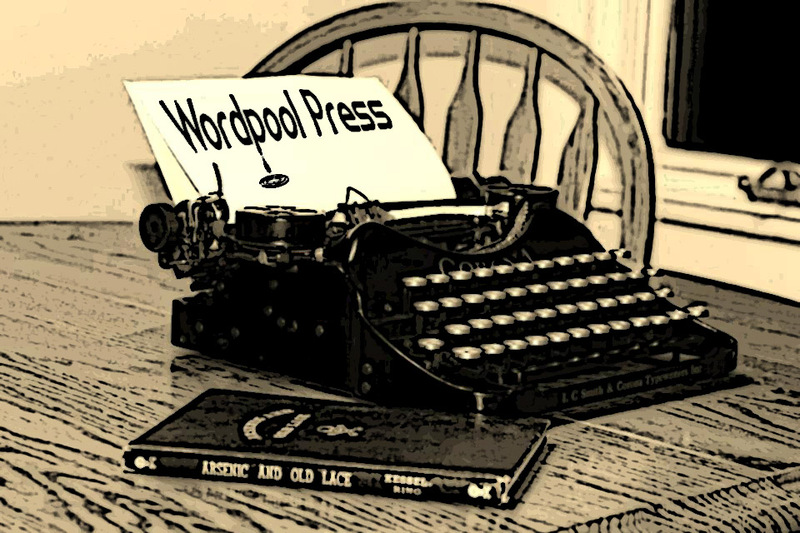 The Wordpool Press Bookmark Pack is now available in the Wordpool Press Bookstore. Hold your spot with more personality with these “CharacterMark” bookmarks. For easy browsing, Digital Papercut has indexed its Vol. 1 No. 1 by art, poems, and short stories. Like Digital Papercut on Facebook and follow us on Twitter for updates. New content is posted every day. After being open for submissions for two months, Digital Papercut has finally rolled out it’s first issue. We received hundreds of submissions from all over the world, and we would like to congratulate those who were accepted. To keep up with regular postings from the first issue of Digital Papercut, like Wordpool Press on Facebook. The author of Wordpool Press’ first book, Seventh of Eleven, Dorothy Sabean is an artist/writer working and living in St. Petersburg, FL. She attended Massasoit Community College in Brockton, MA, and the University of Massachusetts Boston. After a 35-year career in medical transcription, her trade was usurped by “smart” software in 2010. Having been outgunned by Dragon speech recognition, Dee did the only thing left to do: she started over. With the support of her husband, Gary Davis, she took her lifelong dream of being a full-time artist and brought it to fruition. 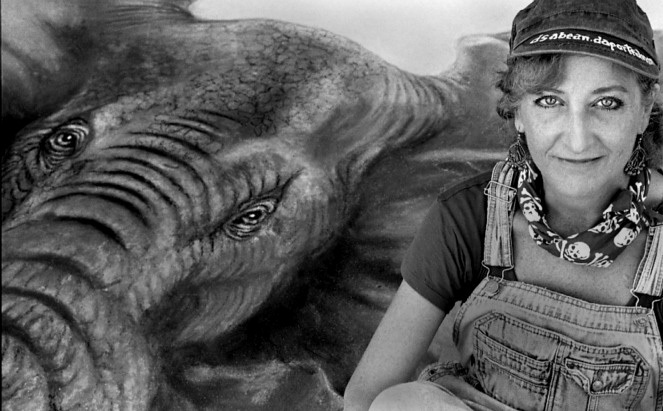 Her artistic outlets include painting on canvas, creating a 12-foot-tall walking puppet, and lighting up city streets with 10’ x 10’ pastel murals at chalk festivals throughout the southeastern U.S. In 2013, the artist decided to pool all of her aesthetic, literary, and nostalgic interests into one endeavor, an illustrated memoir. The Murphy Project began as an art installation, and, as art is wont to do, the final result revealed itself as a book. She is delighted to learn that she can tell an engaging story in both the visual and literary genres. In their off time, Dee and Gary practice hot yoga, hike nature trails, visit with family and friends, and bicycle along beautiful Tampa Bay in their hometown of St. Pete. 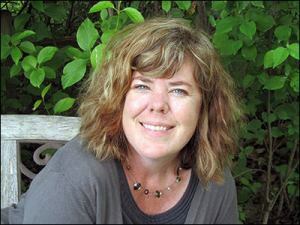 Her book, Seventh of Eleven, is available for order through Wordpool Press. You can also like Dorothy Sabean on Facebook, as well as like Seventh of Eleven on Facebook.